HIKING IS ALWAYS FUN !!! Hiking outdoors has plenty of perks: nice views, fresh air, and the sounds and smells of nature. This weekend we joined the activity of Fellesverket, Bærum Røde Kors of hiking to Kolsåsstupene near Sandvika. We were altogether 22 people for this trip. We started our journey at 14:00 and we travelled from sandvika to Toppåsveien by bus. From there, we walked on trail path to the Kolsåsstupene. The trail consists of a quiet, tall forest and a small lake on the way to the top and it is suitable for almost all the hiking lovers, no matter your skill level- including adults, seniors and children. On the way to the top, we found some rock stacks and we also tried to make some rockstacks. 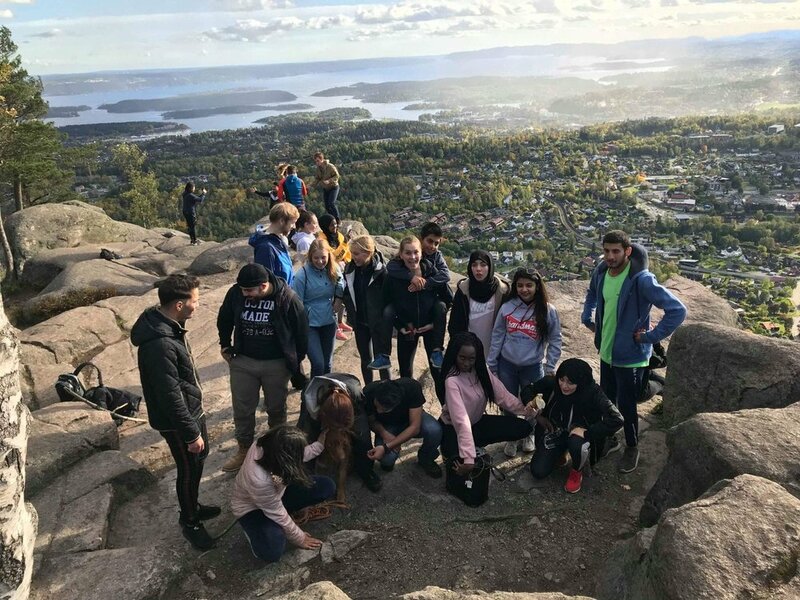 When we reached at the top, we were rewarded with a breathtaking panoramic view over Oslo, Bærum and Oslo Fjord. After spending sometime on the top, we decided to came down to KIF cabin to have some foods. There we eat some snacks and prepared our own BBQ. Some youths were dancing while others were walking around the KIF cabin. Then we travelled back. This was the first hiking experience in Norway. This trip helped us to socialize with others and also helped in knowing more about Norwegian culture. We enjoyed it a lot. Keep following our blogs and facebook profiles. Feel free to leave a comment or share our blogpost.